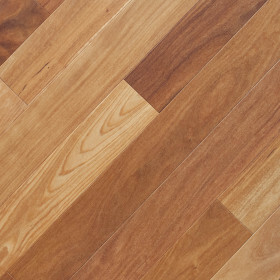 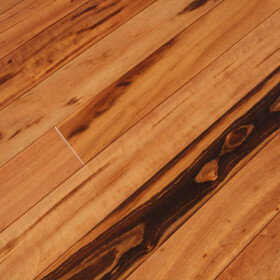 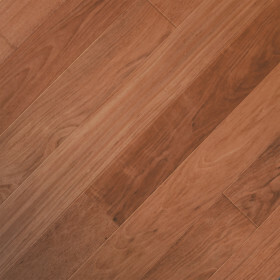 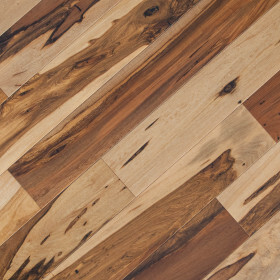 Tigerwood is a truly exotic originating from several regions of South America. 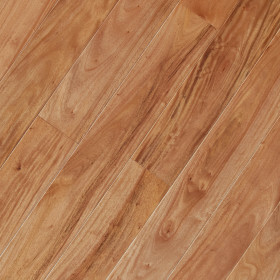 It is characterized by its palette of mixed colors which include orange and reddish brown tones. 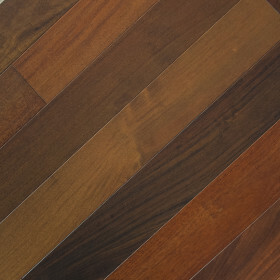 Named after the grain patterns, Tigerwood truly has a resemblance to the stripes of our most dominant feline friend. 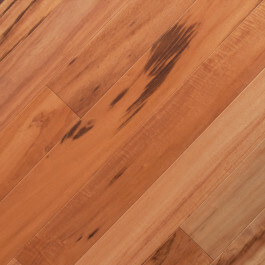 The grain of Tigerwood can be straight or wavy, attracting the eye with a luster and refinement that will provide an intense, but a distinguished base for any decorative taste. Tigerwood presents a highly sophisticated style and is a popular species of wood with interior decorators and style conscious homeowners with a penchant for the dramatic and well stated. 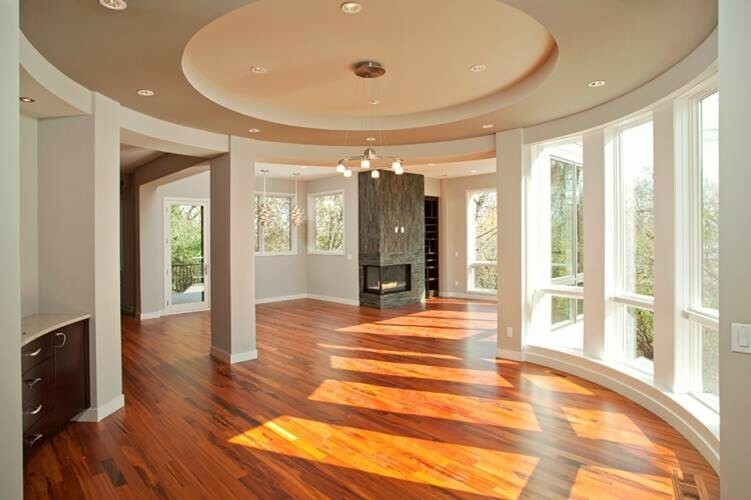 It will allow you to create an environment characterized by strong colors and bold decorative accents. 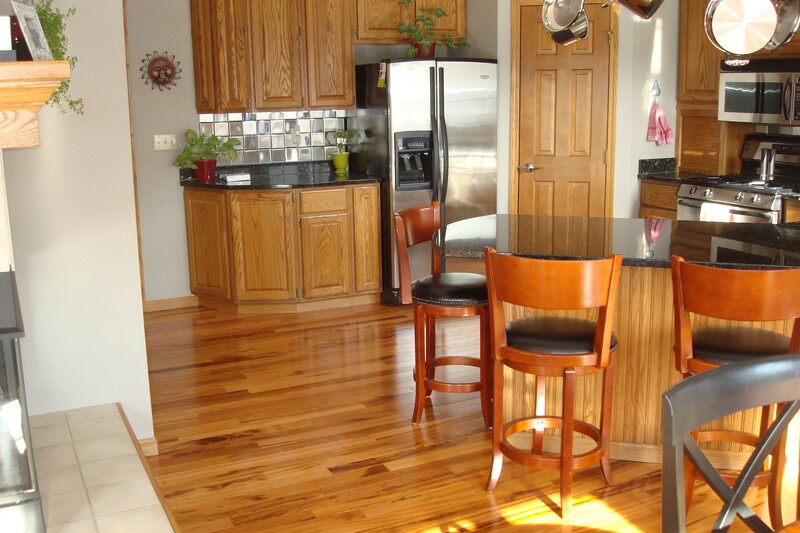 Tigerwood will prove to be a long-lasting, extremely durable, and vivid addition to the home environment.